VB Homes was selected as the winner for 2019 Region 2 Southeast Entire House $500,001 to $750,000 Remodel Project. 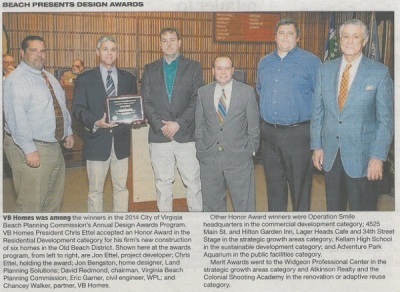 Inside Business featured an article on the Virginia Beach Design Awards where VB Homes received an Honor Award in the Residential Development category this past December on six homes built in the Old Beach neighborhood. For more information regarding this exciting project, please see our Winter 2015 Newlestter. 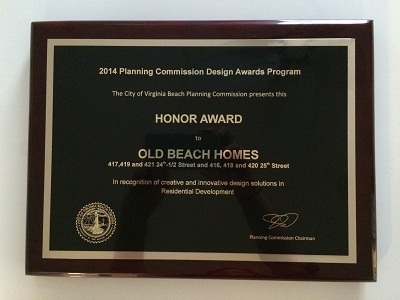 On December 10, 2014, the City of Virginia Beach Planning Commission presented VB Homes with the Honor Award for our “Old Beach Homes” on 417, 419, & 421 24-1/2 Street and 416, 418, & 420 25th Street in recognition of creative and innovative design solutions in Residential Development. Our upcoming Winter 2015 Newsletter will feature these homes in further detail. 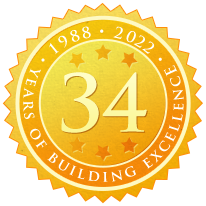 Since 1991, VB Homes has served as the lead partner for the Building Futures House Construction Project sponsored by the Virginia Beach Schools Education Foundation. Through this initiative, students and faculty from the Virginia Beach Technical and Career Education Center work together each year to construct a succession of single family homes. Profits from the sale of each house fund Building Futures grants for teachers. Remodeling magazine has named VB Homes on the Remodeling 550 list as one of the nation’s largest full-service remodeling companies. VB Homes entered a custom designed and crafted structure made to enhance the outdoor living space of a home located on a Virginia Beach golf course. 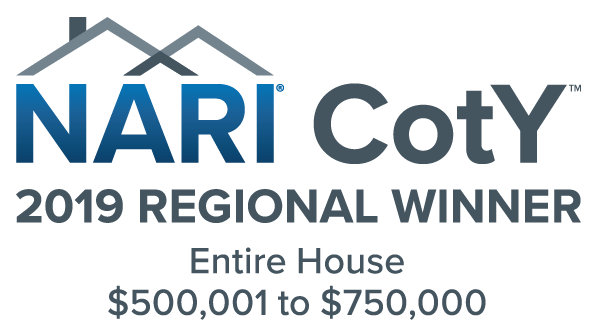 The project rated highly across seven criteria by a NARI judging panel, which rated the entry 58.25 on a 60-point maximum scale. VB Homes appeared in the March and April 2008 issues of Southern Living Magazine. Please click here to view beautiful images of the “Kitchen of the Month” – featured in the March issue of Southern Living. Please click here to view a bathroom VB Homes recently remodeled. The bathroom, a part of an entire Virginia Beach home remodel, is featured in the April issue of Southern Living. Seventeen builders were honored for their high level of achievement in one of seven critical areas of business: management, marketing, customer service, design, production, innovation, and their newest category, community service. Chris Ettel was recognized for his involvement in the community. Click here to find out more. BEST OF THE BEST winners must exhibit “an extraordinary sense of vision” that fulfilled customers‘ every wish through superior visual appeal, exceptional value, outstanding quality, exemplary functionality and masterful problem-solving.